If you are looking around for some good advice on using LinkedIn or for that matter any social media, you will in all likelihood receive the often repeated advice to give your readers good quality content (always good advice) and treat the social media as a backlink resource. 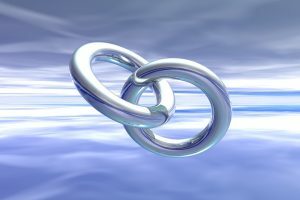 Still another advice you might receive is to target blogs as the principal source for backlinks because it is one of the widely held belief that readers trust blogs more than anything else for information. Blogs have really become important recently with the introduction of Google Authorship… so having your own blog in today’s world is critical to SEO! Sharing your blog posts on LinkedIn has become a priority for any SEO campaign… make sure you have a LinkedIn “Share” button on every post you do! The reach of LinkedIn is massive. But, again, what perplexes small businesses and individuals, as well as big businesses is how to get business using LinkedIn? We have the solution! The key to success on LinkedIn is to engage with the people that spendConnect with us on Linked Intime on LinkedIn… just like any other social media website. It’s not rocket science…. it’s spending the time to read what people are posting and responding to it… simple right? LinkedIn has also included groups as part of their social media platform, and groups can be HIGHLY effective ways to market yourself and your products or services. (Especially if you do B2B Sales!). Bottom line, find the groups that are relevant to what you are selling and become an active member.